April is Education Month! You Pick 2 - Mini-Seminars. We will have 3 Breakout Topics with 45 minutes of education per topic, and you will be able to choose 2 to attend. 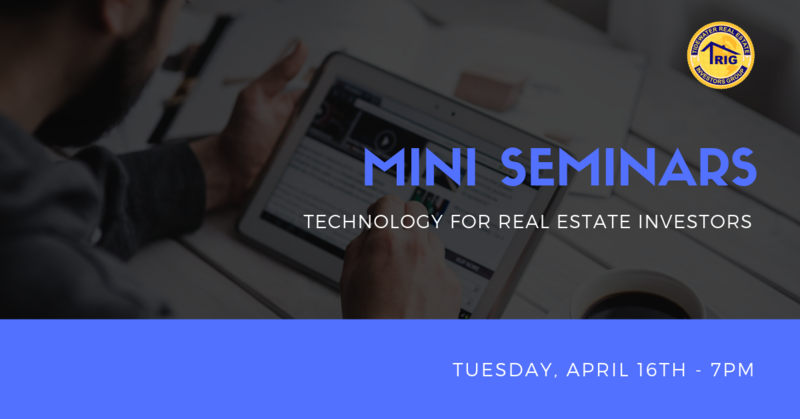 This month we will be diving deep into technology, software, CRM, apps, and automation tools that allow you to seamlessly manage your real estate business whether you're at the office or on the road because the data is stored in the cloud. Ultimately, no matter what system you choose to put together for your business, your goal should be to manage your real estate leads, track lead generation campaigns, manage contacts, upload documents and contracts, manage your calendar, and stay on top of real estate trends by providing you seamless access to various real estate lead websites. Registration begins at 6:30 pm. The meeting starts at 7:00 pm.